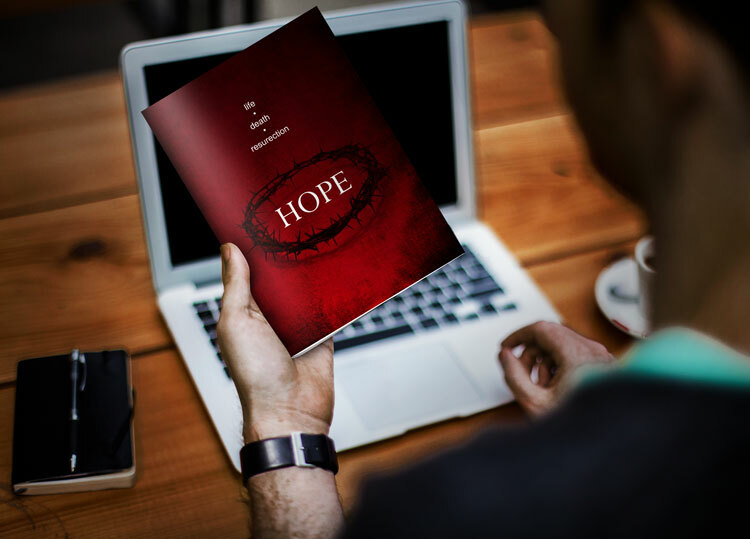 Have you ever found yourself looking for a professional-quality, Christian-themed icon for your church website, brochure, or other ministry outreach tool? And within a tight budget? Your Christian branding is a reflection of the gospel, so you want it to be of the highest quality. But you also recognize the importance of stewardship and want to be careful with your finances. This can be a dilemma. 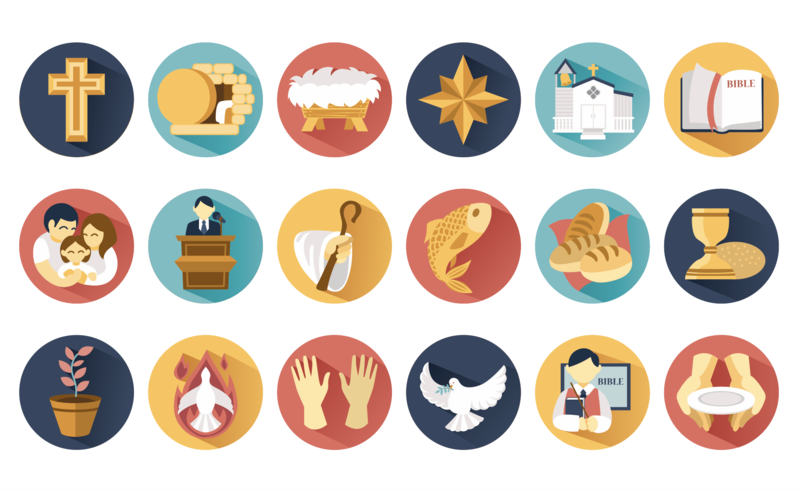 That’s why we designed this set of free custom illustrated Christian icons, available for you to download today. 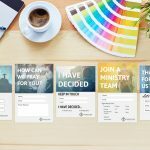 Now you can brand your church professionally and effectively, without breaking the budget to hire a designer! 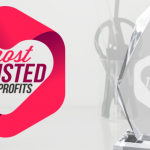 We know from experience how frustrating it can be to find affordable and high-quality Christian icons when designing a website for a church or other Christian non-profit you love. There are only so many free resources out there for you to download, and finding a trusted designer can be challenging and expensive, especially when you’re in a hurry. 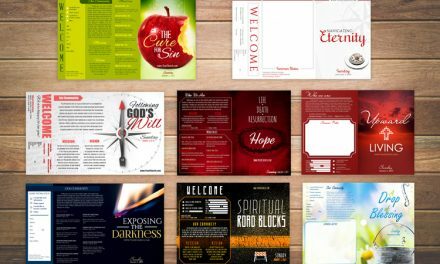 So we set out to solve this issue with a beautiful set of 18 professionally designed Christian icons that you can download today for FREE. 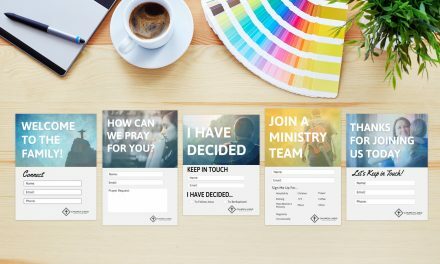 The icons in this set were illustrated and designed just for you, customized to meet your church’s needs. 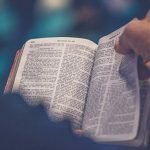 From more standard images like a cross, Bible and offering plate, to more unique images like a shepherd’s staff and a plant symbolizing spiritual growth, these icons can be applied in a variety of ways. How you use them is totally up to you! We feel confident that these icons are creative and diverse enough to be used and reused again and again, whether on web pages, welcome brochures, bulletins or other graphic design outreaches. But don’t take our word for it! Take a look for yourself. 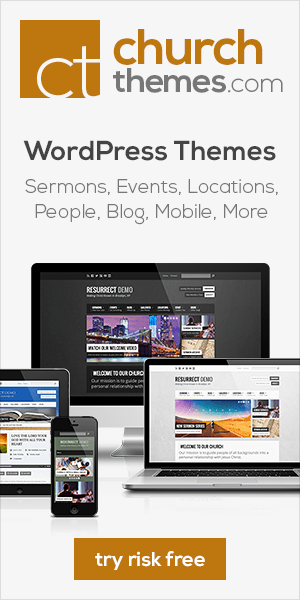 Carefully Crafted For Your Church – Download Today! Each of these icons was carefully planned, illustrated and designed by a professional graphic designer and meticulously reviewed until each one passed our test. Now, we pass them on to you, straight from the artist’s workshop. We only ask in return that you put them to good use. At Ministry Voice, we appreciate all of the hard work you do behind-the-scenes to make your church’s outreach more effective. So, this icon pack is on us. Just enter your name and email address below, and these icons will be delivered to your inbox as a gift from us to you. You will receive each individual icon as a .png image, plus the original Illustrator file they were created in, in case you need to add any of your own customizations.